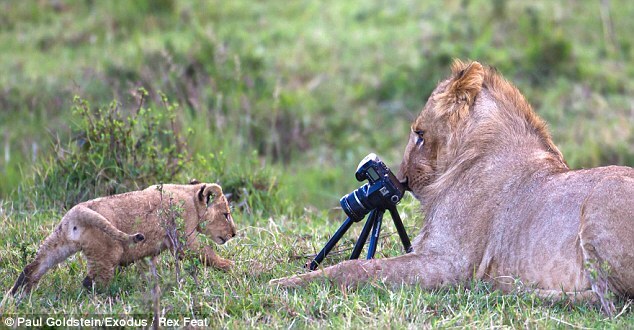 This is the extraordinary moment when two young lions grabbed a camera and tripod dropped by tourists on safari – and ended up taking pictures themselves. The cub and three-year-old male companion closed in on the equipment belonging to two Belgian travellers after it fell out of their group’s Land Cruiser on an early morning expedition. The animals pounced within moments of the camera hitting the ground. 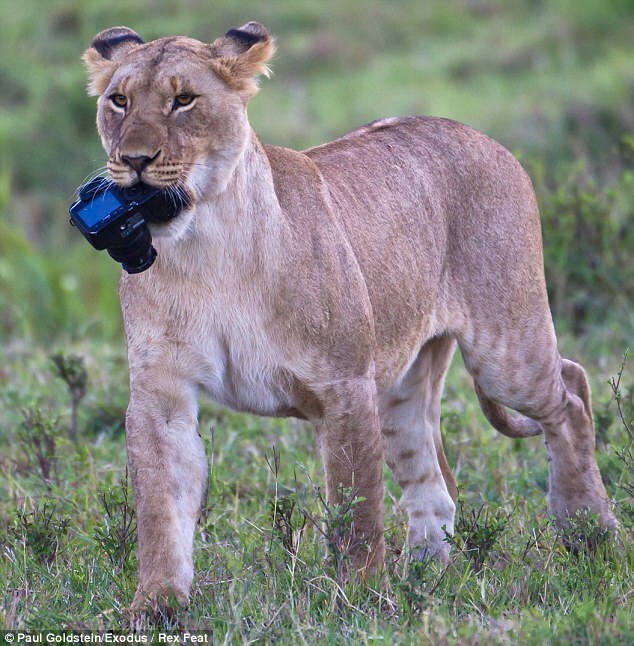 And not only did the predators manage to nudge the button to take pictures, the younger lion seemed to be a willing model. 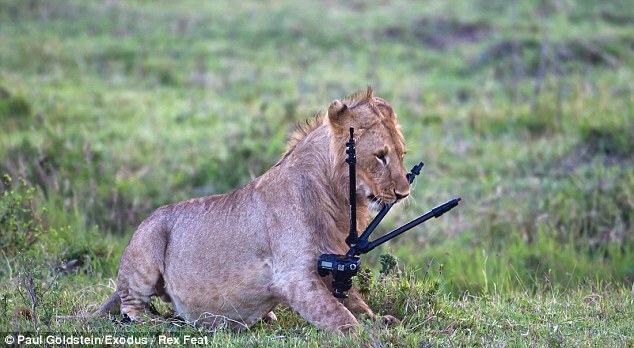 The older animal then took matters into his own hands – or at least his jaws – as he seized the camera tripod in his mouth. The moment was captured by photographer Paul Goldstein at the Masai Mara game reserve in Kenya. He said: ‘It took a little while for them to realise the camera wasn’t a meal before they used it as intended. The lion grips the tripod dropped from the safari vehicle. The moment was captured by photographer Paul Goldstein at the Masai Mara game reserve in Kenya. ‘The cub seems to have enjoyed the attention. The lions managed to fire off four actual shots.’ But he added that the pictures were ‘out of focus and poorly composed’. Next Pakistan to talk to Wild Mullahs again?